Dynatech continues to be the exhaust leader in all forms of racing and high performance applications. Weld-up header kits are perfect for racers who need to build custom headers when a specific fit for custom applications or vehicles that ready made headers are not readily available. Pit Stop USA is The Online Motorsports Superstore! We feature Crankcase Evacuation Systems at low everyday prices. Dynatech "Y" Pipe Merge Collector - 2 Into 1 Merge - 3.0" x 3.5"
Dynatech "Y" Pipe Merge Collector - 2 Into 1 Merge - 3.0" x 4.0"
Dynatech "Y" Pipe Merge Collector - 2 Into 1 Merge - 3.5" x 4.0"
Dynatech "Y" Pipe Merge Collector - 2 Into 1 Merge - 3.5" x 5.0"
Dynatech 01-04 Corvette Headers 1-3/4" x 3"
Pit Stop USA is The Online Motorsports Superstore! Dynatech continues to be the exhaust leader in all forms of racing and high performance applications. 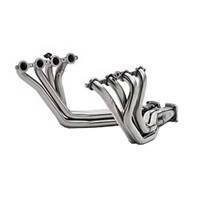 You can be assured that you will get all the performance and quality possible from your Dynatech headers. Dynatech NASCAR Late Model Stock headers meet NASCAR late model stock rules, have user adjustable primary tube lengths and fit Townsend, Hedgecock, Zervakis, Childress, and most front steer late model stock car chassis. Dynatech Monte Carlo Metric Frame headers and Dynatech Camaro headers fit in stock location or with additional setback and fit angle or straight plug heads. Dynatech Stock Clip - Over Rail Headers collectors exit over rails on stock front clip cars and allow more flexibility with engine positioning versus chassis headers. 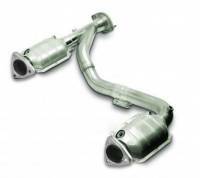 Dynatech 2.3L 4 Cylinder Ford Mini-Stock / Mini-Mod Header has a stepped design for maximum torque and horsepower. Dynatech Dirt Late Model Headers are available to fit GRT, Shaw, FAST Race Cars, Warrior, Mastersbilt, Rayburn, Dirt Tek, American Made, Barry Wright, Bernheisel, Bullitt, Morris, Rocket and Swartz chassis. Dynatech D.I.R.T. 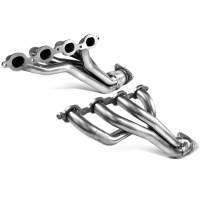 Modified Headers are 32a equal length primaries for maximum midrange horsepower and torque, forward swept design for muffler clearance and have CNC laser machined flanges. Dynatech Sprint Car Headers are designed for Outlaw, All-Star and USAC sprint cars. Dynatech Forward Swept Sprint Headers collectors are moved forward 10a to allow extra clearance for mufflers. Dynatech I.M.C.A. Modified Headers long tube design delivers maximum power, but with a flatter torque curve. Dynatech offers a wide selection of tube diameters to match engine and track combinations. Dynatech IMCA Modified Headers are available for GRT, Kosiski, Smileys, Harris, Sardeson, Dirt Works, Champion, Hot, Pro, Shaw, and Lightning chassis. 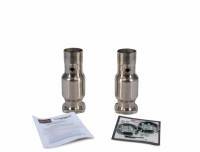 We also carry Dynatech merge collectors, Dynatech Split-Flow racing mufflers and Dynatech Vortex Insert Cones.